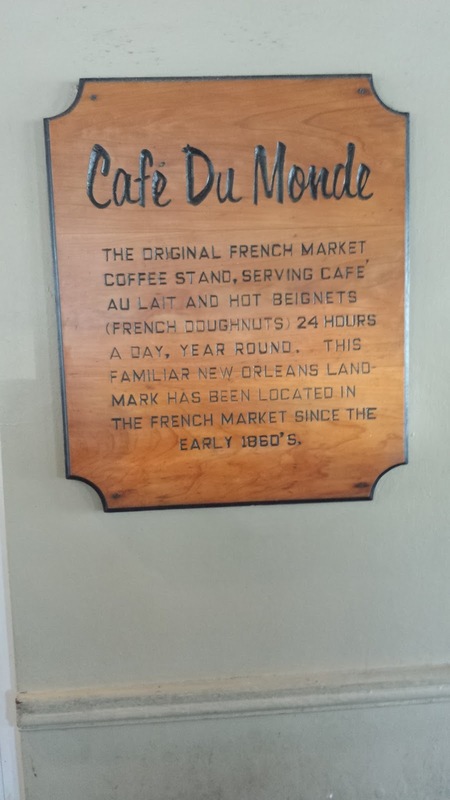 A friend of mine had his first day off since the beginning of January, and we celebrated by a last minute road trip to New Orleans. After all, this is random wanders, not meticulously planned wanders, so I have to live up to the name sometimes. We loved it so much. Both my friend and I have a strong musical background, and he is currently working in that field with his tuba. Combined with local alcohol and a deep historical story, we felt right at home with the live brass bands on every street corner. While there, we had the inspiration to assist the people in Baton Rouge and their flood relief programs. 10% of revenue through my Google Ad network and my Patreon page will be donated to the Baton Rouge Area Foundation flood relief fund through the end of September 2016. Please help out during this trying time for those families. The interesting thing was that my wife and I were visiting her parents in the Northwest Suburbs of Chicago earlier that day, so within the course of 24 hours, we drove the entirety of I-55. The total driving time for that, not including food or gas breaks was roughly 15 hours in the car, north to south. With only 24 to explore a city none of us have ever been to before, where do we go? None other than the world renown French Quarter of course! Yes, it is touristy, but it is so for good reason. The French heritage shines through with an afterglow of Spanish. Everything is named after a Catholic saint, including a lot of the streets. There was a brass band, playing repertoire ranging from all types of jazz, on every street corner, and a blues band in every bar. I loved it. As well as live music, I also enjoy locally brewed beer. For that, there is JAX Brewery. 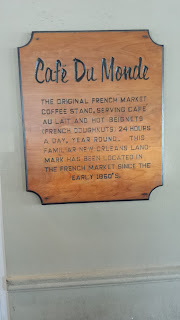 Since I actually love coffee more than booze, I was also able to enjoy the world-famous Cafe du Monde next door. 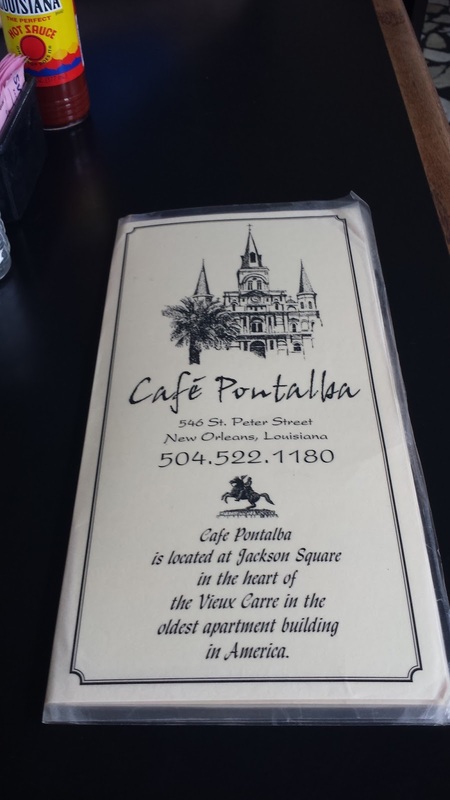 For dinner, we stopped at Café Pontalba (no website) right off of Jackson Square. It was delicious. 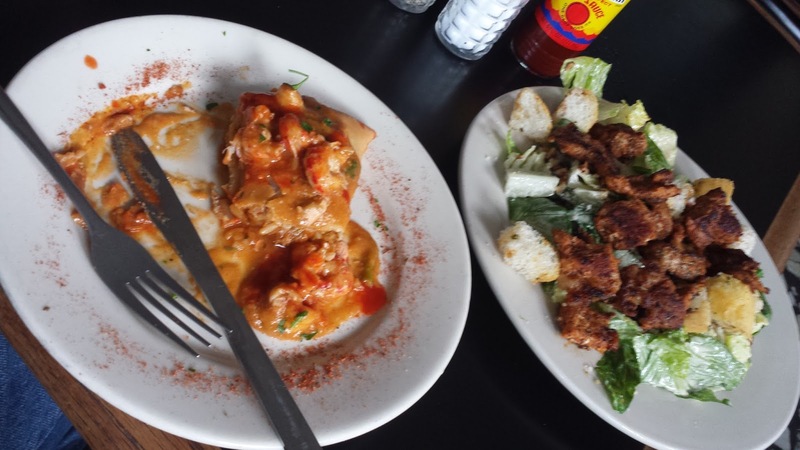 Cajun and Mississippi River Valley food. I was so happy. Of course, there is no talk of New Orleans without talking of Bourbon Street. 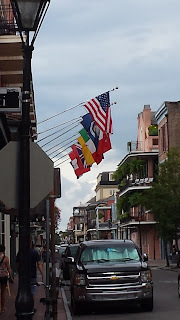 It is Bourbon Street where the nightlife is renown. Every other door is a bar, with a live band playing, and the other doors are strip clubs. Alcohol is legal to drink on the streets. Random men shine your shoes for no reason. I wish I had more time to explore this city. What little time I spent there was amazing. I want to go back so badly. You know what? Maybe I will.